The world of an Android user is an interesting one. On one hand you have an amazing array of choices when it comes to devices. You have devices with less RAM, more RAM, less space, more space, microSD capabilities, micro USB vs USB C, and so much more. You can pick and choose a device based on screen device or simply battery power. However, when it comes to accessories, the iPhone user is clearly winning. Having a locked down hardware and software has only encouraged the accessory manufacturers to come with innovative accessories that address various limitations of the device. As an Android user though, being approached constantly with all that is on offer for an iPhone is no fun. This is why when Leef emailed me about their brilliant iPhone accessories, I only had one question: anything for an Android? They did not disappoint, and sent me a couple of really handy devices. In an interesting way, hopefully this device will become obsolete soon. Two reasons, one good and one bad. Good one being that most manufacturers are starting to offer microSD slots again (I am looking at you, Samsung). The bad one is that micro USB is being phased out in all flagships (apart from, ahem, once again, I am looking at you, Samsung). However, about 90% of devices out there can still use a little bit of memory boost, and this nifty and small gadget does it well. Just plug in any micro SD card into the slot, plug it into your micro USB port, and access items through your file manager. Be it films on a plane journey, or just some extra space to store those photos and videos you made on a holiday. One usage I found in particular useful, and which does go beyond the usual microSD slot in a phone, is the fact that you can easily swap this between devices. Take photos on one phone, and then access them on another. Watch film on one, and when the battery goes low, just switch to another device. Now this one I really like. Leef made their name in the industry by offering a dual USB drive for iPhone users. 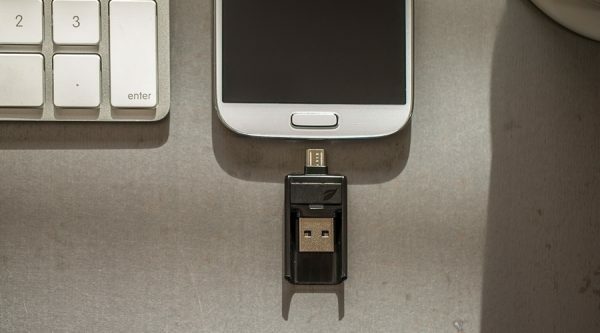 One end plugs into any PC or Mac, like a USB drive, and the other end plugs into the slot in your phone. Originally featuring lightning connectors, now they are also available for Android users. Best part is, while this looks like one of those compact charging cables, hidden inside is a regular USB 3.0 flash drive, which comes in sizes of 16, 32 or 64GB. This means that you can share this device between a PC/Mac and an Android device, take photos on one and see on the other, or just store your movies. Since it works like a normal USB drive, you don’t even need to always plug it into your Android, just keep it handy for when you do need it. My phone comes with a USB C port, why should I care? Well, for the simple reason that you can buy micro USB to USB C convertors for under a pound/dollar. More information on both the products as well as other products from the Leef range can be found on their website. 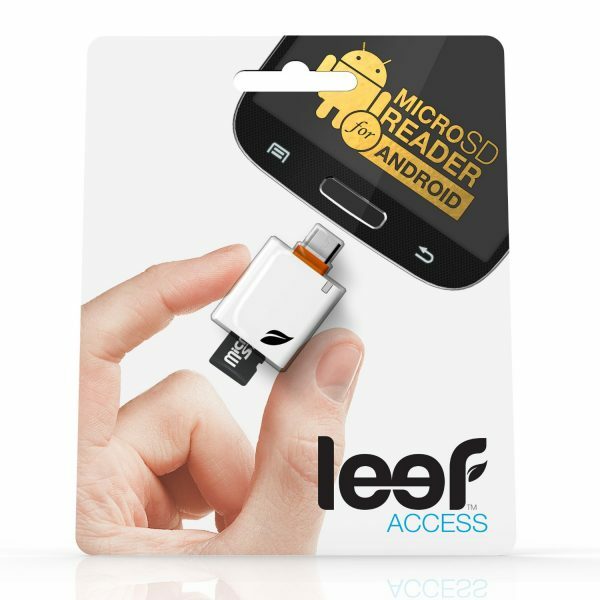 The Leef Access microSD Card Reader retails for around £10 and can be bought from various retailers including Amazon. The Leef Bridge 3.0 Dual USB Flash Drive starts from just under £10, and comes in 16GB, 32GB and 64GB sizes. It is available from various retailers including Amazon.